Working with a designer for the first time is both exciting and, maybe, a bit daunting. To help, I’ve created a short Q&A to try to answer some of the questions you might have in mind and to give you an idea of whether I’m right for you. Of course, you may have other questions – do feel free to get in touch using my contact details – I’ll be happy to answer your questions and comments. Q Why use an interior designer? A The decision to change something in your home is one of the biggest you’ll ever take. But it’s probable that most people will only move house or ‘redecorate’ a few times in their lives. That’s why it’s sensible to consult a designer. Interior designers bring many hundreds of hours of experience to projects and will ensure you can benefit from that depth of knowledge. While you might not have time in your busy day to do much more than flip through some interior magazines or websites, I can devote myself to researching your project. I hope, also, to be able to suggest new ideas, whether specific designers or outlets, room layouts, colours, or an overall approach. 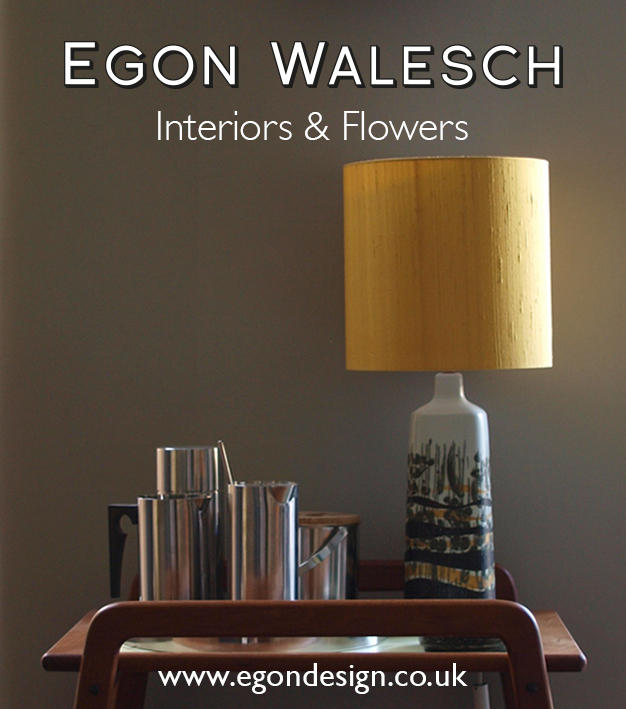 Q Why use Egon Walesch Design? A There are two reasons for using me to help you design your home. The first is because you like my ideas. You can see many of them reflected in the photography on this site. If you are interested in designing a particular room, please let me know; my work ranges from home office spaces to living rooms, bedrooms, dining rooms and kitchens to full house layout and design. I will be happy to share photographs and ideas with you. The second reason for using me as a designer is because you like me and feel comfortable working with me! An interior designer is going to be a part of your and your family’s life for a few weeks, at least, during the project. For this reason, you need to feel absolutely happy working with me. I will do my best to create a warm, friendly, professional and open dialogue with you and to make sure you feel as confident as you do inspired. Q How big a project will you consider? A I am happy to take on interior design projects both big and small, from the design of a whole house and exterior to just a single room or even part of a room. Of course I will need to be pretty sure that you can get the space you want within the budget that you’ve got. Why not ask me about what you have in mind? With no obligation, I’ll gladly give you an estimated cost. Q Will I lose control of the project? A An interior design project is always a collaboration between the client and the designer. For that reason, you will always remain in charge. If there is something you don’t like, you are never obliged to use it. Conversely, if you’ve set your heart on including a particular element, that will naturally be done. In very rare cases, it might be that a client brings a list of requirements that I consider unfeasible: for example, they might want specific items of furniture for an unrealistic budget. In that case, it may be better for us not to work together. But in 99.9% of cases, we can work together to make your ideas and aspirations work out and to create a space that truly feels like home. Q How much is it likely to cost? A Bigger projects naturally cost more. Having said which, of course, we can start very small – a single room, or even an area within a room, for example – and grow from there. The only restriction is that I need to be able to cover my setup costs for the project. Q I only have a very limited budget – can I still use you as a designer? A Some of the greatest designs have been done for surprisingly low costs and having a limited budget can be good because it forces you to be creative and to think of novel ways to create the look and feel you want. I am happy to take on interior design projects both big and small, from the design of a whole house and exterior to just a single room or even part of a room. Why not ask me about what you have in mind? With no obligation, I’ll gladly give you an estimated cost. Contact me egon(Replace this parenthesis with the @ sign)egondesign.co.uk or use the contact form to discuss your requirements.